Homegrown veteran rockers Toto celebrate their 40th anniversary! 40 Trips Around The Sun Tour! 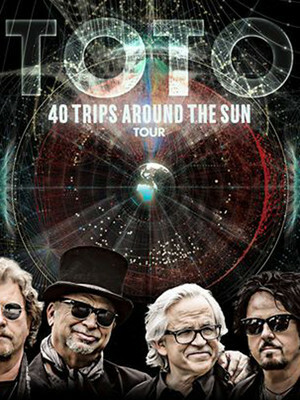 Homegrown veteran rockers Toto are once again hitting the road on their 40th anniversary for their 40 Trips Around The Sun tour, a retrospective concert of some of the bands greatest hits along with deeper cuts! Combining a myriad of musical styles since forming in 1977, the band are known for their enthusiastic forays into pop, rock, soul, funk, progressive rock and hard rock. Coming to instant prominence with their debut self-named album in 1978, the EP spawned three successful singles that reached the top 50 on the Billboard chart, namely Hold the Line", I'll Supply the Love and Georgy Porgy. Now 16 albums and 40 million album sales later, the band have been honored with six Grammy Awards and an induction into the Musicians Hall Of Fame in 2009. 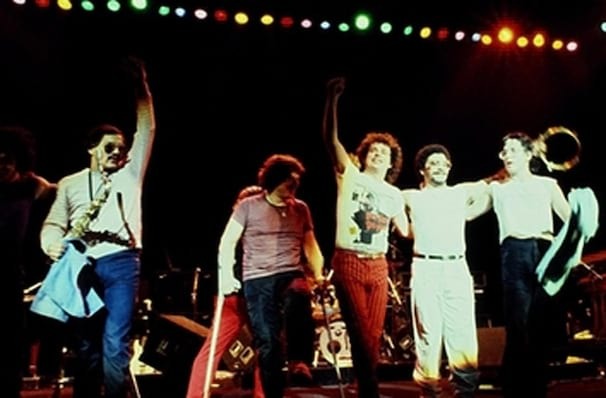 Recently releasing their 40 Trips Around The Sun, which is an expansive Best Of collection, TOTO spent most of last year re-mastering old tracks and working on new music. Don't miss them when they come to a city near you! Sound good to you? Share this page on social media and let your friends know about Toto at Pompano Beach Amphitheater. Please note: The term Pompano Beach Amphitheater and/or Toto as well as all associated graphics, logos, and/or other trademarks, tradenames or copyrights are the property of the Pompano Beach Amphitheater and/or Toto and are used herein for factual descriptive purposes only. We are in no way associated with or authorized by the Pompano Beach Amphitheater and/or Toto and neither that entity nor any of its affiliates have licensed or endorsed us to sell tickets, goods and or services in conjunction with their events.